"Life is entirely what you make it to be," said Neena Nizar in a 2013 TEDx Talk at Manipal University in Dubai. She stood on the stage and, although not quite four feet tall, commanded attention. Her voice has undertones that sound like laughter. But Neena has had lots of reasons to cry, instead of laugh, in her lifetime. Still, she says, "I'm a very strong believer that God doesn't make mistakes." Neena was born in Dubai and it was clear from a young age she had a disability, though doctors around the world could not pinpoint what, exactly, it was. "There are 456 known forms of dysplasias and many still unclassified," Neena explained. "For 32 years, I lived with a misdiagnosis." She had been through years of tests to be told she had Ollier disease, and she had no reason to doubt her doctors. When Neena asked her doctors if she could start a family, they told her she wouldn't get pregnant. She did. They said she'd never be able to carry to term. She did. They said she wouldn't be able to walk. She walked every day until the day of the birth of her first son. He was beautiful and healthy. Then Neena had another son two years later. But suddenly, she noticed problems in her once-healthy two-year-old. Later tests would tell her that she had been misdiagnosed. Her disability was called Jansen's metaphyseal chondrodysplasia, which is autosomal dominant- meaningit would be passed on to her children. There have only been 30 recorded cases - including Neena and her two sons. She immediately turned to her computer to start looking for other people with the same disorder. She found a mother with a boy with Jansen's in Mississippi and contacted her for advice. But she left having given more instruction than she received. That's when Neena realized she could teach people about her condition and continue to live the life she wanted without letting her disability decide what she was or was not going to do. Neenais a college English instructor pursuing a doctorate in educational leadership, a wife, a mother, and a rare disease advocate. With her husband and her two boys, she moved to the United States in January of 2015. Treatments were more readily available here than in Dubai, and the boys had qualified for an experimental treatment being studied at UCLA. The treatment saw success in mice, and if it were to work in Neena's two small boys, it would mean a cure for her and the other two dozen people around the world living with the disability. 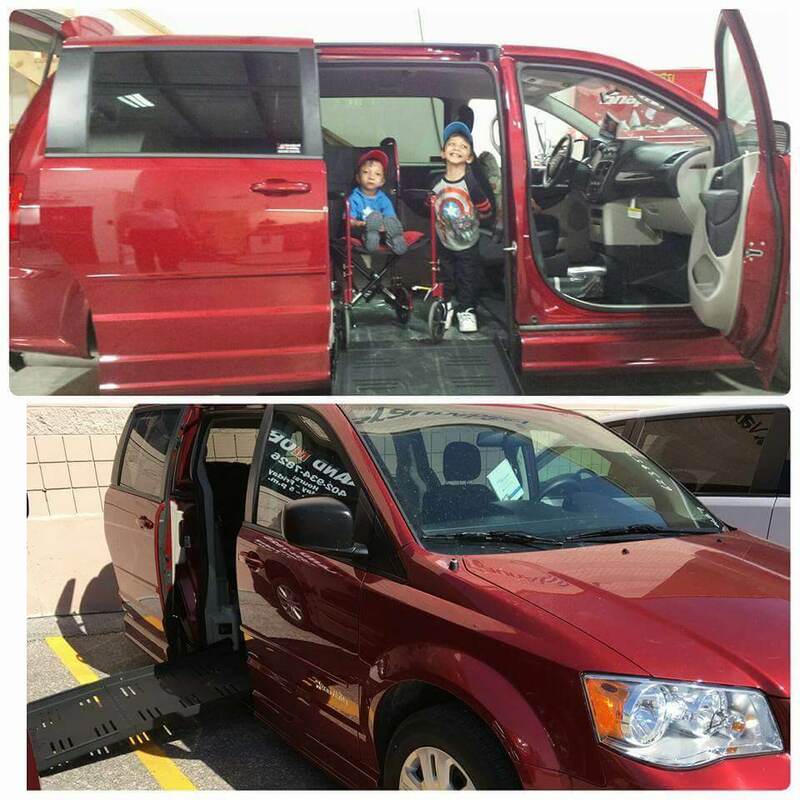 Then in March, with help from Easter Seals, the family was able to purchasetheir first accessible van. In fact, the BraunAbility van was the first vehicle Neena had ever owned.Shevisited Heartland Mobility in Omaha. "We had to get three wheelchairs in there at the same time and also outfit it with hand controls so I could drive." She credits her dealer with helping her find the perfect fit for her and her family: "He made it happen." Their 2015 Dodge Caravan has space for each of them in their chairs (two power chairs and a manual chair), the dealer explained. While there were other mobility van options, BraunAbility offers the most space and comfort. "We are just so much more independent. We can carry all of our wheelchairs, and that's just amazing to us," Neena says. Her sons love going to the park, she says. At eight and six years old, they have lots of energy, and getting to play with other kids their age is great for them. BraunAbility is so happy to be a part of this next chapter in their lives. Thank you, Neena, for sharing your BraunAbility story. If you would like to keep up with the boys' progress, check out their Facebook page.